Andy Rubin, the man behind ubiquitous mobile OS Android, has unveiled his first take on the smartphone since leaving Google. Among other projects Rubin created a gadget startup called Essential, which has also launched a home assistant device called Home that seems designed to take on similar offerings from Amazon and Google. In keeping with that no-nonsense naming policy the phone is called Phone. The Essential Phone is positioned to attack the premium Android (unsurprisingly) market that is currently dominated by the Samsung Galaxy S series. It has premium specs, including a Qualcomm Snapdragon 835 SoC, a titanium body that claims to be tougher than its competitors, and a 5.7-inch screen with a minimal bezel. The novel feature, however, is a degree of modularity – i.e. hot-swappable components. Right now this seems to consist of a 360-degree camera attaches itself to the phone magnetically and the clear inference is that other such components will one day be made available that interact with the phone in the same way. In a blog explaining why he decided to start this company rather than just slob on the beach for the rest of his life Rubin explained that, as the creator of Android, he feels partly responsible for consumer tech not being as user-friendly as it should be these days. “For all the good Android has done to help bring technology to nearly everyone it has also helped create this weird new world where people are forced to fight with the very technology that was supposed to simplify their lives,” said Rubin. He then vowed to do things better by focusing on simplicity and quality. 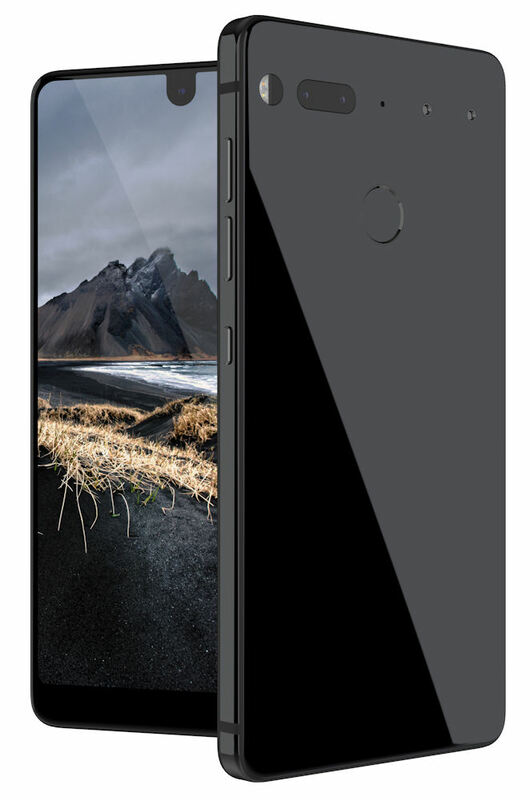 The Essential Phone is initially only available in the States, costing $699 or 50 bucks more if you want the 360-degree phone. It seems to tick all the boxes for a premium phone but so do loads of others. Remove the camera and the Rubin stardust and you’re left with a new entrant in a very crowded and competitive field.